This chair is ideal for multiple uses and best situated in cafes. These can be stacked for extra convenience. The chairs come assembled on delivery and are finished with stylish Chrome legs. Delivered assembled and ready to use and vailable from stock for a fast and free UK delivery. 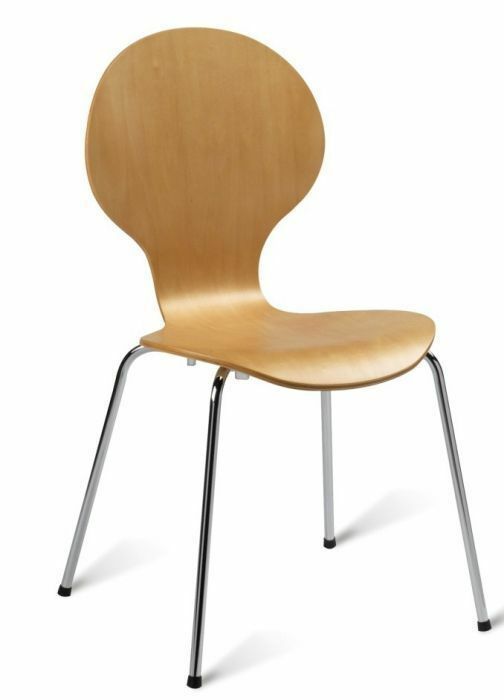 Stylish classic design bistro chair with a strong plywood seat. Perfect for any cafe or leisure area.